Welcome to The Scientific Fisherman. The underlying theme of this site is an attempt to apply scientific principles and reasoning to the art of fishing. The hope is that by gaining an understanding of some of the underlying science involved this will help improve both our probability to catch fish as well as to protect our fishing environments and resources. The aim is to access the current literature, look for applications, collate the knowledge gained as well as to give general and specific fishing related tips and practical advice. Mark C. Biesinger, PhD – scientist, specialist in X-ray photoelectron spectroscopy and other surface analysis techniques, avid fisherman, photographer and collector of family recipes. 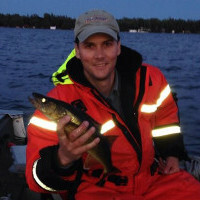 Mark also serves as President for the Forest City Bassmasters based out of London, Ontario.